Degree apprenticeships bridge the gap between technical skills, employment and higher education. Is there scope for something similar in Australia? There are growing calls for a debate about the role of post-school in society, both in Australia and overseas. After 30 years of constant expansion, some complain universities have become too vocational in nature — too focused on jobs, not enough on the art of inquiry. At the same time, the vocational education sector is reeling from 15 years of funding cuts and the aftershocks of failed free-market experiments. Numbers in trade apprenticeships and traineeships are plummeting. Less than 30 per cent of vocational students in Australia work in the areas in which they studied. The same is true of higher education. An annual survey of university graduates from 2014 shows 54 per cent of all bachelor’s degree holders said their qualification was a formal requirement for their job. But the proportion ranged from one in four humanities graduates to 96 per cent of medical graduates. The more regulated the profession, the more degree and career path are likely to be correlated. The British higher education system is rolling out an alternative education route. While more people than ever are graduating from universities, some companies are abandoning degree requirements altogether. Degree apprenticeships were launched in the UK in 2015. These are designed to bridge the gap between technical skills, employment and higher education. They’re part of a larger scheme intended to reinvigorate apprenticeships more broadly. A 0.5 per cent levy on corporations with an income of more than 3 million pounds ($4.8 million) funds the system. Supporters say the initiative is good for employers and good for students, especially for disadvantaged students. They not only struggle to get into higher education (despite an uncapped system) but are also much more likely to drop out of it. How do degree apprenticeships work? Degree apprenticeships work a lot like traditional trade apprenticeships: students work in a related job with their education strapped on around their employment. Traditional degrees are steeped in theory and deliver practical experience through internships, practicums or other work-based experiences. In contrast, degree apprenticeships deliver a skill and a qualification simultaneously. Students work four days a week and study for one. Crucially, the apprenticeship levy covers tuition fees, so students don’t graduate with a debt. If adopted here, this could enable Australia to avoid the distress over rising debts seen in the UK, where it is expected 80 per cent of students will never fully repay their loans. In the last UK election, Labour leader Jeremy Corbyn rode a rising tide of anger among younger votersover student debt with his promise of a return to free higher education. Even Andrew Adonis, Tony Blair’s former adviser and architect of the current loans scheme, switched camps. He described the income-contingent loans scheme that resulted in a tripling of fees in 2012 as a Frankenstein’s monster and “a Ponzi scheme“. Are we at a tipping point for higher education? While Australia doesn’t have the same immediate crisis, several factors suggest higher education could be heading slowly towards a tipping point. Government plans to increase university fees and introduce more rigorous parameters for the Higher Education Loans Program (formerly HECS) have sparked furious debate. Meanwhile, graduates face a declining employment market. Just 69 per cent of graduates in 2014 held a full-time job four months after graduation, compared to 81 per cent a decade earlier. If you’re a young person about to enter the job market, the skills you have already may give you more job mobility than you think. 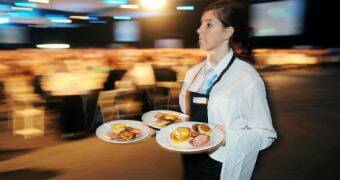 Part-time work, casualisation and under-employment are widespread. Graduate salaries have been more or less static for years. Increasingly, students, particularly the most advantaged, turn to postgraduate education to boost their chances in an overcrowded jobs market, raising questions over credentialism. Having larger numbers of people with a higher degree produces public benefits, including better health, better parenting, higher rates of volunteering and lower rates of incarceration. But all of this comes at a cost to the taxpayer and does little to correct an imbalance in skills entering the jobs market. Too many lawyers does not balance out a shortage in IT experts or agricultural scientists. The question is whether new pathways need to be created to help young people straddle the gap between education and work. Work is underway on this issue in Australia. The University of Tasmania, for example, is adding associate degrees, which are shorter, cheaper and more vocationally focused on local industries than full bachelor degrees. Perhaps other institutions, particularly those in regional and outer-metropolitan areas, should consider the possibilities offered by the UK-style degree apprenticeship model. These are the universities, after all, that educate by far the greatest proportion of disadvantaged students. Ironically, degree apprenticeships are a modern, more work-intensive version of the associate degrees that colleges of advanced education offered before the higher education system was unified under the Hawke government in 1989. Perhaps part of the emerging discussion should include a return to a tripartite public education and training system, which includes TAFE, teaching-only polytechnics and research-intensive universities. The post-secondary education sector may have a limited appetite for more structural reform. However, as a society, we do need to tackle the question of whether a higher education system devised 30 years ago, onto which uncapped student places have been glued, is still fit for purpose. Times have changed and education systems must surely move with them. Stephen Parker is an honorary professorial fellow at the Melbourne Centre for the Study of Higher Education, University of Melbourne and an emeritus professor at the University of Canberra. He is also the education lead partner at KPMG Australia.